Come to the Reunion! Represent your Branch of the Tree! Gosh – I’m getting so excited about the Genetti Family Reunion 2016! I’ve heard from many cousins who are planning to attend. How about you? We hope every branch of our family tree will be represented at this reunion. Are you a leaf from the Wyoming limb or a twig from the Illinois bough? Do you hail from Michigan, Texas, California or Utah? Maybe you are a descendant of the Pennsylvania Genetti family. And ciao to our Italian cousins – we would love to have you as an honored guest, representing our ancestral home of Castelfondo. Time is slipping by! Start making plans for your hotel and travel arrangements today! If you are one of the lucky family members who live in or around the Hazleton area – you have no excuse! You are only a short drive away. 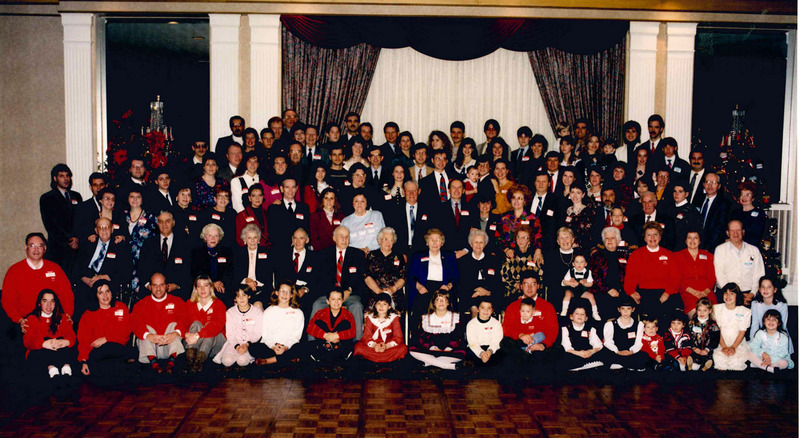 Come meet, visit and hug your cousins – cousins that represent every branch of our amazing family tree! Remember – the dates are October 7th – 9th, held at the Genetti Ballrooms, 1345 N. Church St., Hazle Township, Pennsylvania. Check out new updates to our Reunion Page, click here! Download your Reunion Reservation form, click here! My wife, sister and I will be attending the reunion. We are looking forward to connecting with all the relatives. See you in the fall. Jim Genetti of the Wyoming branch. Wonderful Jim! I’m looking forward to meeting all of you! FYI – my baby brother is also named James (Jim) Genetti. He will be at the reunion too!